Denna produkt ger dig 2937 bonuspoäng. Ånglok klass 94.5 typ DRG, loket har digitaldekoder och ljudmodul, högeffektsdrivning, längd över buffertar 14,6 cm, epok II. Prototype: German State Railroad Company (DRG) class 94.5-17 (former T 16.1) freight tank locomotive. Without a bell, with a feed water heater on the top of the boiler, with a rounded cab roof, smokebox door with a central locking device, and with older design buffers. Locomotive road number 94 1036. The locomotive looks as it did around 1931. Model: The locomotive has a digital decoder and extensive sound functions such as replenishing water, coal, and sand. It has controlled high-efficiency propulsion with a flywheel, mounted in the boiler. 5 axles powered. Traction tires. The locomotive is constructed mostly of metal. A 72270 smoke generator can be installed in the locomotive. The dual headlights change over with the direction of travel. They and the smoke generator that can be installed in the locomotive will work in conventional operation and can be controlled digitally. Maintenance-free warm white LEDs are used for the lighting. Protective piston rod sleeves and brake hoses are included. 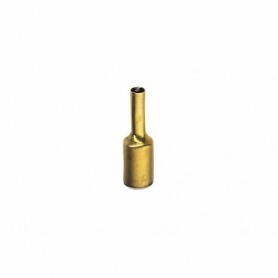 Length over the buffers 14.6 cm / 5-3/4'. Highlights: Digital decoder and extensive operation and sound functions included. A freight car set to go with this locomotive can be found in the Märklin H0 assortment under item number 46065, with a note about the wheel set exchange for DC wheel sets. 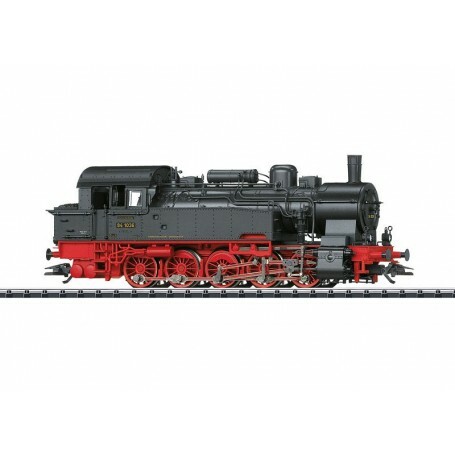 This model can be found in an AC version in the Märklin H0 assortment under item number 37168.